Welcome to the April 13, 2018 edition of ACM TechNews, providing timely information for IT professionals three times a week. Females Now Make Up Less Than One Tenth of Computer Science Students in the U.K.
Can Robots Learn Like Humans? Researchers at Graz University of Technology in Austria are studying how to use augmented reality (AR) to change the way humans interface with drones, turning them into remote cameras that an untrained user can easily control. The team found that using Microsoft's HoloLens mixed reality head-mounted display, a drone can enable users to see through walls, while controlling the drone becomes as easy as virtually "grabbing" the device and placing it in a specific location. In their experiment, the researchers used an OptiTrack external localization system to help the drone with its path planning. The researchers tested both an AR system and a traditional remote controller with a first-person video stream from the drone, and found participants universally preferred the AR view. 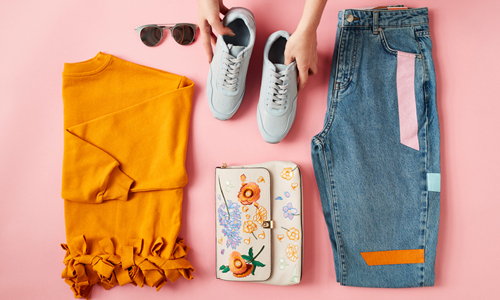 Researchers at Facebook's Artificial Intelligence (AI) lab in Paris used algorithms called generative adversarial networks (GANs) to produce fashion items including handbags, jumpers, and T-shirts. The algorithms forced two neural networks to compete against each other, one generating ideas and the other judging them; over millions of iterations, each network masters its skills until something is created that satisfies both the AIs and humans. The Facebook team trained three GANs on about 4,000 images of existing fashion items created by humans. Two of these GANs were off-the-shelf programs, and the third, called StyleGAN, was constrained to the shapes it created so the final items would actually be wearable. A total of 800 final products were shown to people for review, almost two-thirds of which were thought to have been created by humans. Less than 10 percent of computer science students in the U.K. are female, and some schools have no female information and computing technology (ICT) students at all, according to the most recent figures published by the U.K. Department of Education. Specifically, 0.4 percent of female students taking Advanced Level (A-level) classes chose to enroll in computer science in 2017, compared with 4.5 percent of males. The department also found only 18.1 percent of females taking A-levels chose math, and 2.3 percent chose advanced math, compared with 33 percent and 7.1 percent for males, respectively. 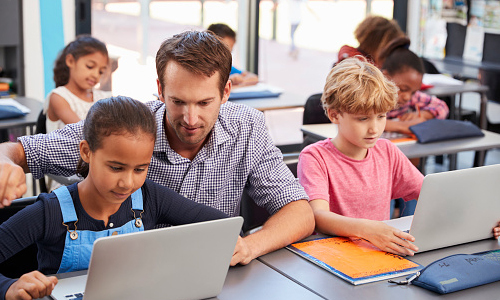 These trends could be attributed to the way students perceive the subjects, and recent curriculum changes have not helped the issue, says Fiona Usher, head of Computing & ICT at Battle Abbey School. She contends the government should play a role in encouraging more females to pursue information technology-focused education. Researchers at the Moscow Institute of Physics and Technology (MIPT) in Russia have developed copper and graphene oxide-based biosensor chips that are compatible to existing commercial biosensors. "By relying on standard manufacturing technologies and combining copper with graphene oxide--a material that has a great potential--we achieve a demonstrably high efficiency," says professor Valentyn Volkov, who heads up MIPT's Laboratory of Nanooptics and Plasmonics. "We have shown that protective dielectric films only tens of nanometers thick do more than just prevent oxidation: in some cases, they increase biosensor sensitivity," says GrapheneTek CEO Yury Stebunov. He also notes, "The technologies proposed in this study could be used to create miniature sensors and neural interfaces, and that's what we're working on right now." Hong Kong Polytechnic University (PolyU) researchers have developed an intelligent three-dimensional (3D) human modeling system that can digitally map an individual's shape and size from two full-body photographs within five to 10 seconds. The technology can reconstruct a person's 3D shape, and also can extract more than 50 size measurements for clothing for different parts of that person. The researchers say the differences in tight-fitting and loose-fitting clothing are less than 1 cm and 2 cm respectively, and the system is sufficiently accurate to meet the specific requirements of the apparel industry for fashion applications. The system employs big data analytics based upon the team's analysis of a massive dataset to determine local 3D shape features and predict under-the-clothes body profiles. The PolyU researchers decomposed the data returned from 3D scans of local features for analysis, and then predicted and assembled the two-dimensional (2D) and 3D shapes of persons based on 2D photographs. Researchers at the University of Southampton in the U.K. will continue their partnership with continental colleagues on the European Data Portal, a platform that harvests the metadata of public-sector information across 34 countries. The Southampton researchers will help ease access to more than 800,000 datasets across Europe as part of a three-year project. "This prestigious project confirms the position we have in open government data and is important because of how it ties to other (Electronics and Computer Science) ECS research that is understanding how people engage with data and evidence," says Southampton professor Elena Simperl. The main focus will be on driving development of the portal along with related data economy studies, utilizing Southampton's expertise in the field to improve human-data interaction. "We want to improve the usefulness of the portal by improving the way people search through and make sense of datasets," Simperl says. Emoji characters with adapted skin tones are mostly used in a positive manner and are rarely abused, according to a recent study of Twitter posts by researchers at the University of Edinburgh in the U.K. The study found concerns that a range of skin color options for emojis could be used inappropriately, such as by stoking antagonistic racial sentiment, have been unfounded since their introduction in 2015. The researchers analyzed 1 billion tweets and found most users who chose to modify their emojis opted for a skin tone that aligned with their own. In addition, in those tweets where the selected skin tone was different from that of the user, the posts were found to be mostly positive. "The introduction of skin tone choices for emojis has been a success in representing diversity and their extensive use shows that they meet a real demand from users," says Edinburgh's Walid Magdy. Taiwan's Ministry of Science and Technology this month will launch a quantum computer development project aimed at pooling the research and development resources of the domestic semiconductor sector to develop quantum component fabrication processes, and promote the progress of quantum computing, as well as communication and algorithm technologies. Taiwan's science ministry will push for the academic and industrial sectors to establish a quantum computer development alliance to advance next-generation computers and accelerate industrial upgrades. Since 2017, the science ministry has hosted 10 seminars on quantum computer developments and sent experts to visit foreign academic organizations to study the latest quantum developments. One of the key conclusions of the ministry's research is that semiconductor quantum dots and three-dimensional integrated circuit heterogeneous integration technology can be applied to create quantum computer processors. University of Michigan researchers have developed a prototype of a simultaneous imaging and energy-harvesting sensor. In the future, tiny, self-powered cameras could sit almost anywhere and record continuously with no need for a battery or even wireless power. Solar cells and image sensors convert light to electricity, so including both in the same chip forms the basis of a self-powered camera. 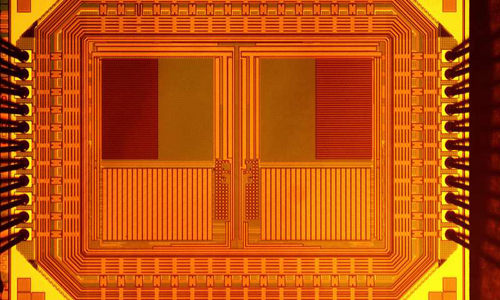 The team's image sensor can deliver 15 images per second using only sunlight for power. The chip, with its 5-micrometer-wide pixels, is capable of the highest power-harvesting density of any energy harvesting image sensor yet. The researchers, who have not yet optimized the sensor's power consumption, are working on a proof-of-concept chip. Duke University researchers have demonstrated a thin metamaterial that can redirect and reflect sound waves with near-perfect efficiency. It is crafted from three-dimensionally printed plastic, and the contours of the device's features enable it to direct sound waves. The device consists of a series of rows of four hollow columns, with each column having an opening down the middle of one side. It controls sound via the width of the channels between each row of columns and the size of the cavity inside each column. As a sound wave passes through the metamaterial, each cavity resonates at its prescribed frequency, with the vibration affecting the speed of the sound wave and interacting with neighboring cavities to control transmission and reflection. Using an "evolutionary computer optimization program," the team set boundary conditions needed on each side of the material to shape the outgoing and reflected waves' behavior, eventually "evolving" design parameters to produce the desired outcome. Researchers at the University of Electro Communications (UEC) in Japan claim that artificial intelligence (AI) is now superior to human intelligence in supervised learning based on vast amounts of labeled data to perform specific tasks. However, it is difficult to quantify human-like intelligence using only supervised learning, because supervised labels cannot be obtained for all the sensory information required by robots. The UEC researchers are now conducting research on whether robots can acquire knowledge in a manner similar to human beings. In order to achieve this benchmark, robots must be able to understand their environment by structuring their own sensory information in an unsupervised manner. UEC's Tomoaki Nakamura has proposed an algorithm that enables robots to learn concepts and language. 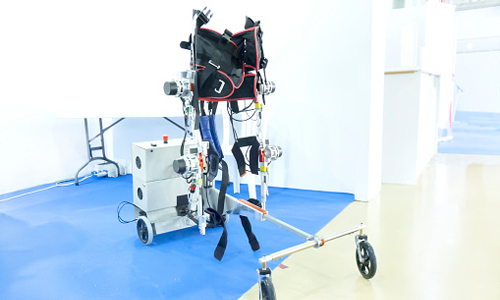 In addition, Nakamura suggests a method for robots to learn motions by observing human motion, enabling them to learn the rules of interaction by monitoring human interaction. China's Tsinghua University and the Chinese multinational e-commerce, retail, and technology conglomerate Alibaba have teamed up to create a joint research laboratory focused on the natural experience for human-computer interaction (HCI). HCI is a major focus of the new program, which will include both fundamental and disruptive research. Tsinghua and Alibaba will collaborate on technologies including multi-source emotion data analysis, affective computing, tangible interaction, and multi-modal perception and interaction, areas foundational to advancing HCI research. Columbia Engineering researchers have designed the Robotic Spine Exoskeleton (RoSE) to address issues in treatment of spine deformities. "The RoSE is the first device to measure and modulate the position or forces in all six degrees of freedom in specific regions of the torso," says Columbia University professor Sunil Agrawal. The brace consists of rings on the pelvis, mid-thoracic, and upper-thoracic regions of the spine, with the motion of two adjacent rings governed by a parallel-actuated robot. The RoSE has 12 degrees of freedom controlled by 12 motors, and it can control the motion of the upper rings with respect to the pelvis ring or apply controlled forces on these rings during motion. The results of a pilot study of the RoSE "open up the possibility for designing spine braces that incorporate patient-specific torso-stiffness characteristics," says Columbia University Irving Medical Center spinal surgeon David P. Roye.